Spectrum Health Systems announced Monday that it plans to close its addiction treatment center in Sanford. SANFORD, Maine — A nonprofit addiction treatment agency will close its outpatient center in Sanford, blaming Gov. Paul LePage’s approach to combatting Maine’s drug abuse crisis. 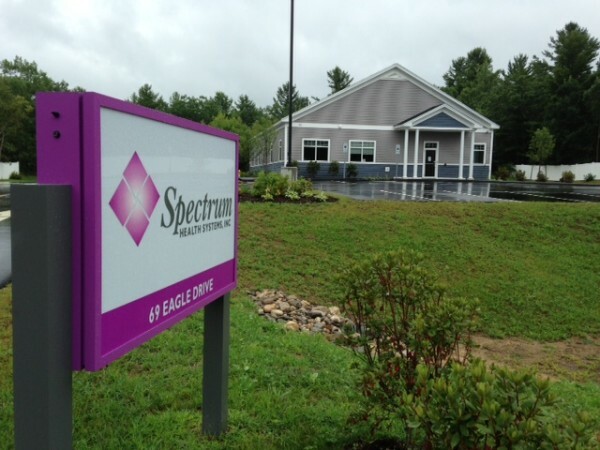 Spectrum Health Systems announced on Monday the planned closure of the methadone clinic, the Massachusetts-based agency’s only facility in Maine. Opened on Eagle Drive in January 2014, the clinic serves nearly 100 patients recovering from opiate abuse. The announcement comes just days after Maine Attorney General Janet Mills announced that deaths from heroin continue to climb. During the first half of 2015, 105 residents died from drug overdoses, putting this year on track with 2014, the worst on record for drug fatalities in Maine, according to preliminary figures. Of those deaths, 37 resulted primarily from heroin and 26 from fentanyl, a synthetic opiate up to 50 times more potent than heroin. LePage has convened a drug abuse summit on Wednesday, stressing the role of law enforcement and drawing criticism from those who believe the state must commit more resources to addiction treatment. U.S. Sen. Angus King will host a similar roundtable on Tuesday in Brewer, with an apparently greater focus on treatment and prevention of opioid abuse. Admissions for heroin addiction treatment have skyrocketed 90 percent since 2010, according to a Maine Department of Health and Human Services July report. In 2014, heroin and morphine were involved in 3,525 substance abuse treatment admissions in Maine. Spectrum President and CEO Charles Faris contrasted policies in Maine and Massachusetts, where he said police are helping addicts receive treatment. In June, Faris commended Massachusetts Gov. Charlie Baker’s pledge to commit nearly $28 million in additional funding for addiction services, the Boston Globe reported. Maine substance abuse clinics, meanwhile, have questioned why the state forfeited a chance to win potentially millions of federal grant dollars for addiction treatment. The clinics also say they were never informed about other federal grants Maine did accept to help uninsured Mainers recover from substance abuse. The Maine Department of Health and Human Services noted in a statement that the state spent nearly $14 million on methadone treatment for 3,900 patients in fiscal year 2014. DHHS will “work diligently to transition patients to their nearest methadone clinic” so their medication-assisted treatment can continue, also including mental health and substance abuse therapy and counseling, according to the statement. The Sanford treatment center was Spectrum’s first outpatient facility outside Massachusetts and the first to offer medication-assisted treatment in York County, the news release states. It remains the only methadone clinic in York County, complicating Spectrum’s efforts to transition patients to other facilities, said Spectrum spokesman Brendan Melican. The Sanford clinic will close after patients are placed elsewhere, he said. The closest methadone treatment centers are located in Portland, South Portland and Lewiston. “We need to make sure we’re placing people in the care of people we can trust,” Melican said. Spectrum notified patients of the closure last week and informed state officials on Friday, he said. The private nonprofit offers substance abuse and mental health treatment, including inpatient detoxification, residential rehabilitation and peer recovery support, at 18 locations in Massachusetts. It describes its 200-bed flagship treatment campus in Westborough, Massachusetts, as the largest addiction treatment facility in New England. While Spectrum is expanding in Massachusetts, the agency has been hampered in Maine by LePage’s moves to tighten eligibility for MaineCare, the state’s Medicaid program, Melican said. His administration has staunchly opposed an expansion of the program under the Affordable Care Act, instead dropping tens of thousands of Mainers from the rolls and limiting coverage for methadone treatment to two years unless patients get a special exception. Nearly all of Spectrum’s patients in Sanford — 95 percent — rely on MaineCare to pay for their treatment, Pelican said. Spectrum isn’t the only addiction treatment provider facing cutbacks. In May, Mercy Hospital announced it would close its addiction recovery center in Westbrook and transfer services to its State Street location. The move affects about 250 patients and 90 employees at the center, which provides Suboxone treatment and counseling for patients recovering from heroin, prescription painkiller and alcohol addiction. The LePage administration has pointed out that DHHS increased Mercy’s reimbursement rate for inpatient substance abuse by 53 percent in April 2013, from $3,200 per discharge to $4,900. The governor unsuccessfully sought to eliminate MaineCare coverage for methadone treatment in favor of Suboxone, another medication administered through doctor’s offices rather than clinics. That makes it the treatment of choice under the administration’s broader effort to address the overall health of substance abuse patients instead of their addiction alone, LePage officials have said. Correction: An earlier version of this report misstated the location of Sen. Angus King’s roundtable discussion of opioid addiction. The event will be held in Brewer, not Orono.